Product prices and availability are accurate as of 2019-04-20 21:16:12 UTC and are subject to change. Any price and availability information displayed on http://www.amazon.com/ at the time of purchase will apply to the purchase of this product. 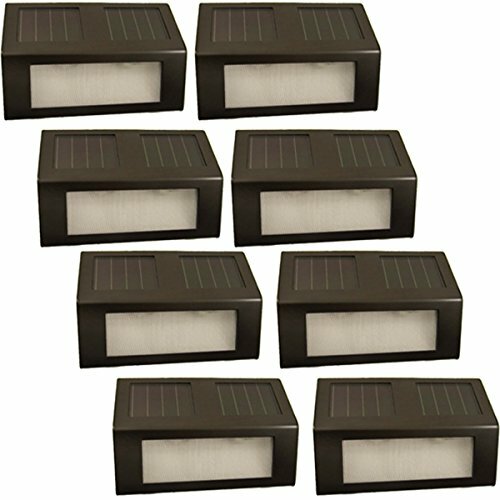 This solar stair light is fantastic for illuminating, accenting, and marking steps, staircases, decks, docks, paths, mailboxes, and boundaries. This light is naturally charged by the sun and turns on automatically as soon as it starts getting dark. The solar panels located at the top of the light recharge the Ni-MH battery during the day. 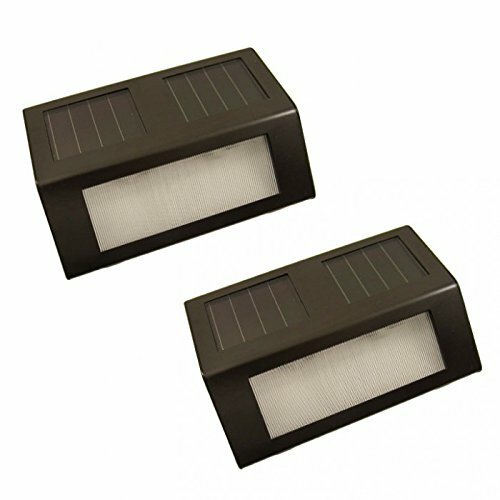 It illuminates for up to 8 hours a night and is durable, easy to install, and requires no maintenance. It can be mounted vertically or horizontally. Dimensions of each light are 5.4" x 3.7" x 1"
Provides 6 to 8 hours of light Solar energy is collected and stored in Rechargeable NiMH AAA batteries Easy to install no wiring required Features 2 long lasting LED's Dimensions of each light: 5.4" x 3.7" x 1"